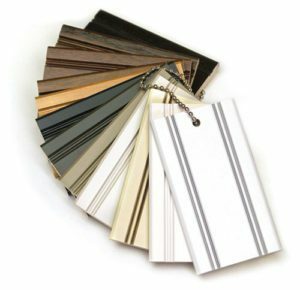 Order Keystone color sample sets to help your customers choose their desired finish. Custom color matching is also available. Just send us your sample! Solid wood color chain sets are available in suggested colors on maple, cherry, red oak, and paint grade (soft maple). 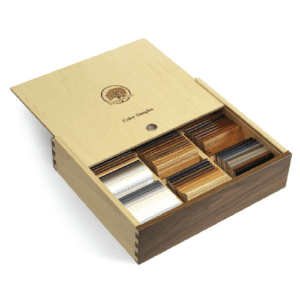 Order individual chain sets or the entire collection, with or without a drawer box display. Click for chain set details and order form. Solid wood beaded blocks are 4” x 8” and available in any of our finishes, including stains, paints, glazes, and antiquing effects. Many of our standard finishes are in stock on a number of wood species and can be shipped the same day. Custom colors and/or wood species are available upon request. 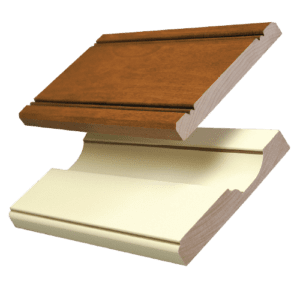 Profile glaze blocks are 4” x 8” solid wood blocks profiled to mimic the rail/stile and panel raise of a door or drawer front. These are available in any of our glaze or accent glaze options. Custom colors and/or wood species are available upon request. Suggested size for a 1/2”-thick box is 3 1/4” x 15 1/8” x 12 1/2”.